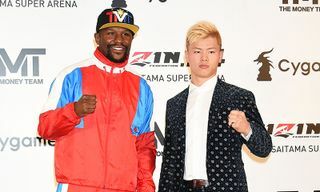 Whether you’re a diehard boxing fan or not, the upcoming fight between Floyd Mayweather and Manny Pacquiao is shaping up to be a cultural event much like the Super Bowl is – where seemingly everyone gathers around the television and new-found interest is formed the closer it is. 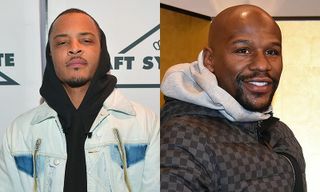 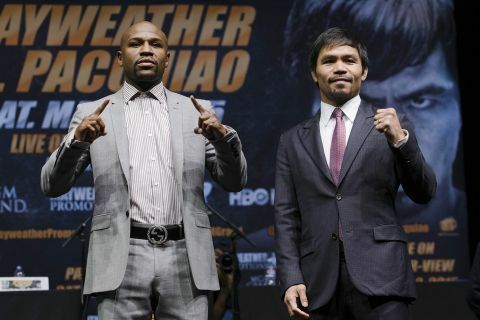 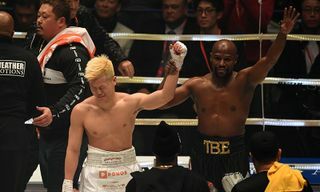 Already seen as a first-of-its-kind because it will be simulcast between HBO PPV and SHO PPV (since each boxer has different contracts), Forbes is reporting that, “A month before boxers Floyd Mayweather and Manny Pacquiao even enter the ring, their May 2 title fight is already breaking records, with the pay-per-view bout set to cost fans $99 ($89 dollars for standard-definition) according to people close to the negotiations between the networks and TV distributors.” The previous record for PPV was $74.95 for high-definition and $64.95 for standard. 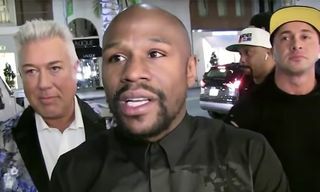 According to the Washington Post, “At those price points, the fight could generate around $300 million in pay-per-view revenue, which would destroy the record of $152 million set by Mayweather’s fight against Canelo Alvarez in September 2013. 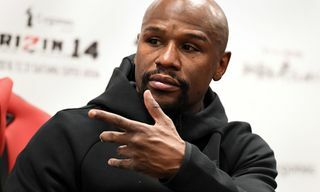 Promoters are expecting around 3 million pay-per-view buys, which also would top the record of 2.48 million held by the fight between Mayweather and Oscar de la Hoya in May 2007.” When the fight takes place May 2, Mayweather will take 60 percent of the revenue to Pacquiao’s 40 percent.